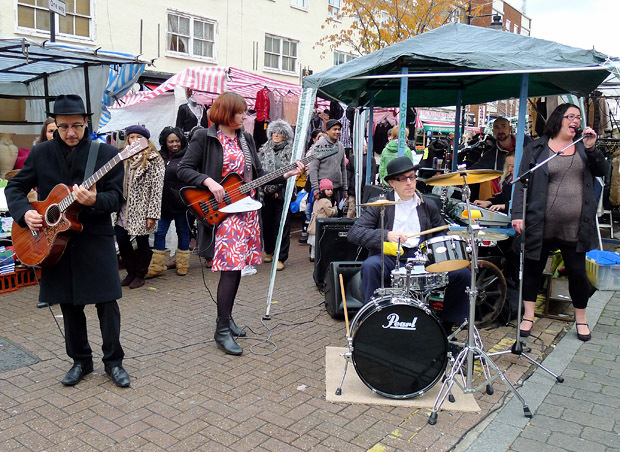 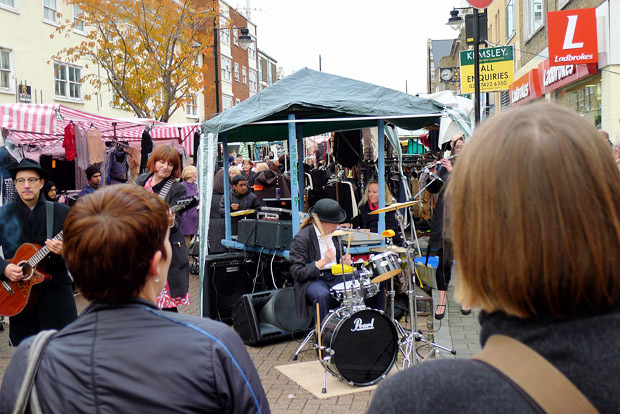 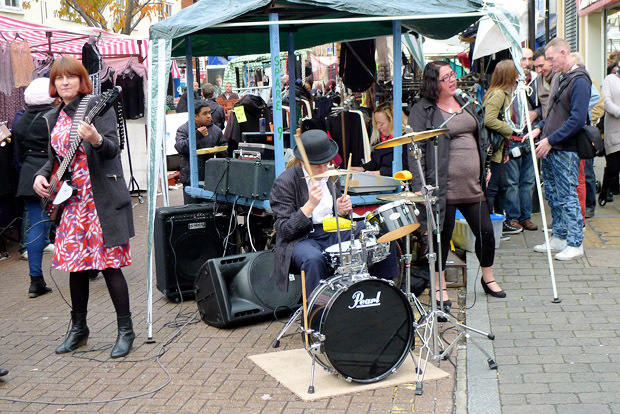 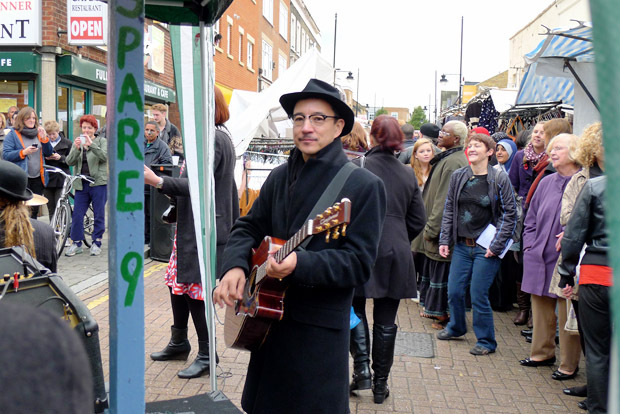 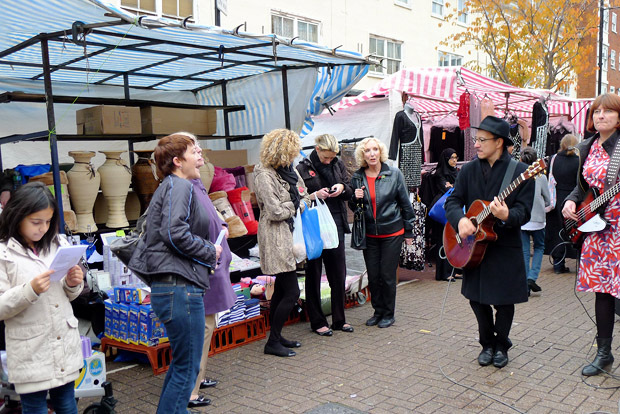 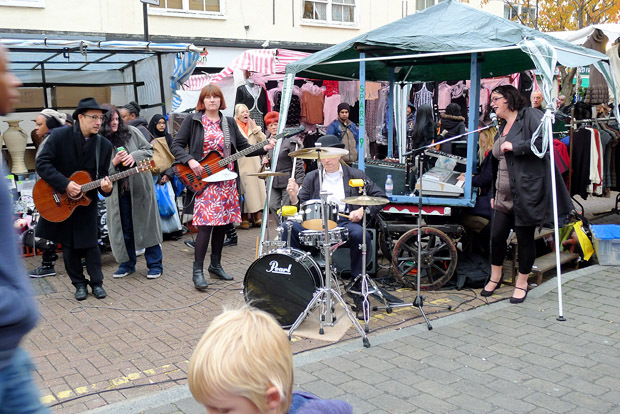 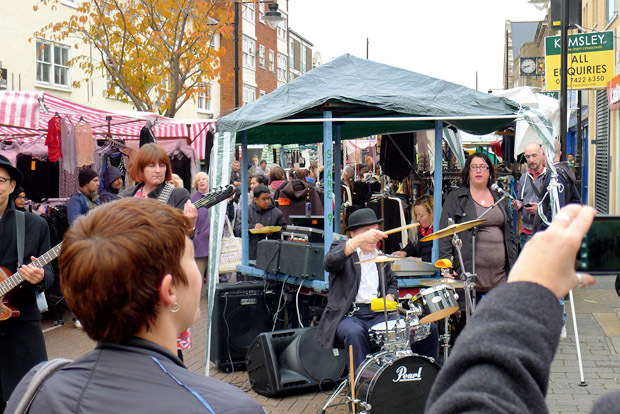 We love London's old street markets and we were happy to do our bit to support the Roman Road street market in the East End. 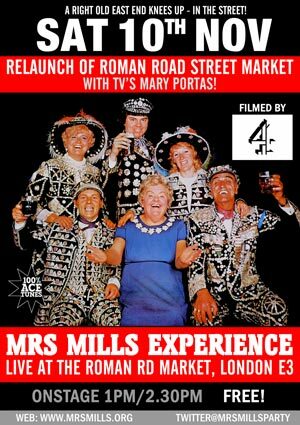 It was a proper old East End knees-up! 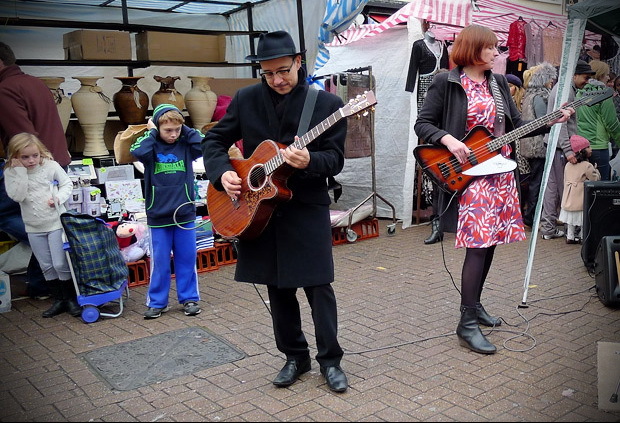 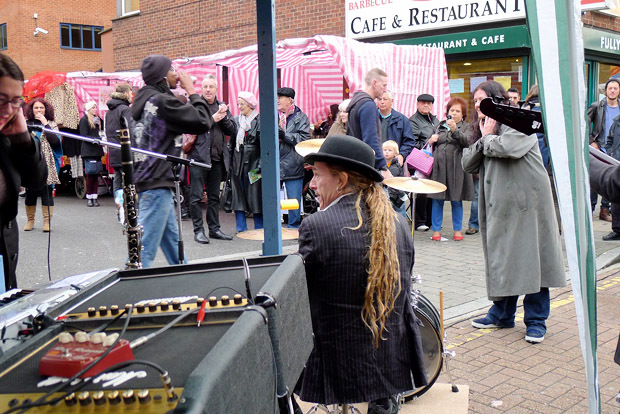 Playing amongst the shoppers and stalls! 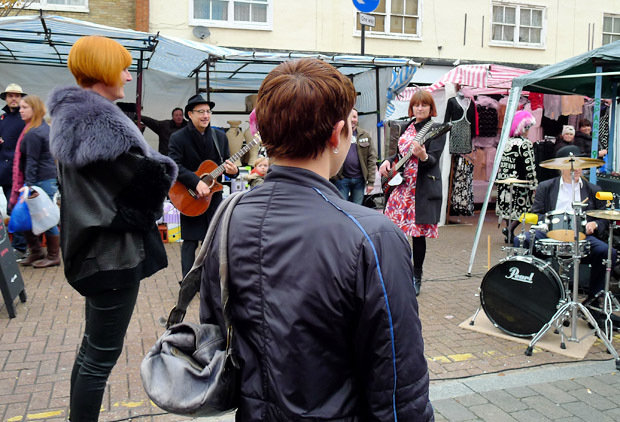 Mary Portas enjoys the band. 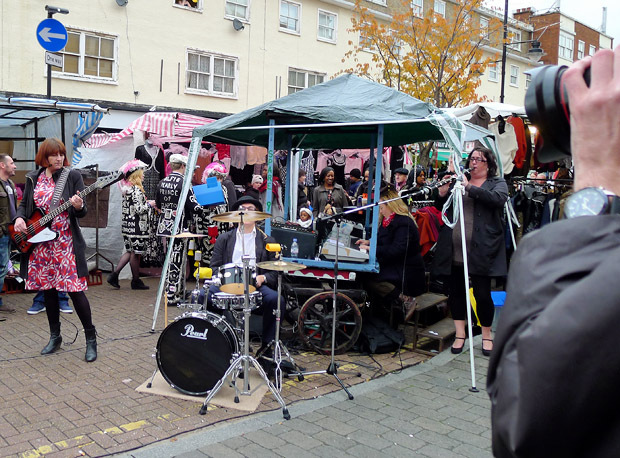 Half of our equipment was set up on a market barrow. 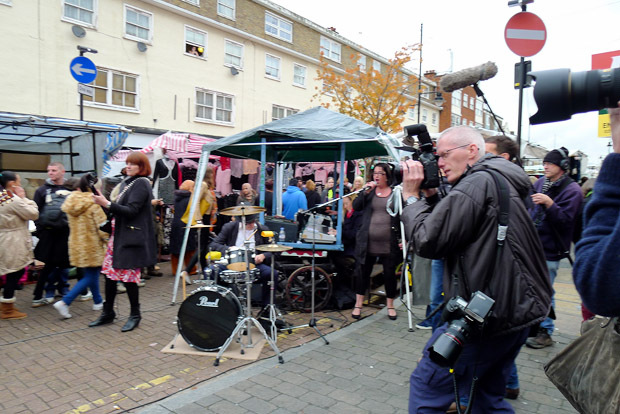 Press and Channel 4 cameras. 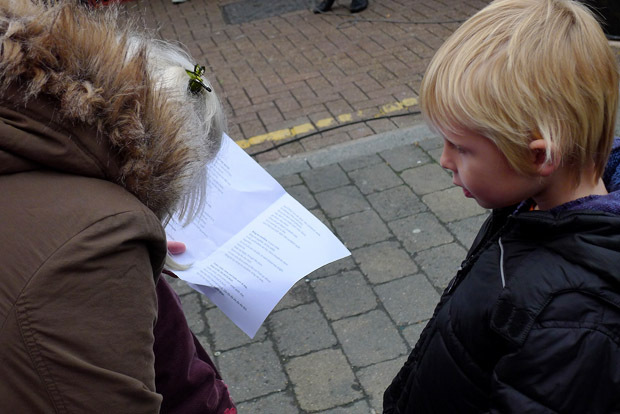 We handed out Mrs Mills songsheets to get folks singing along. 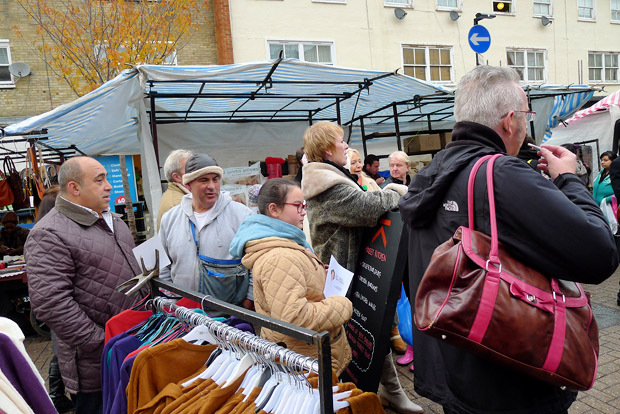 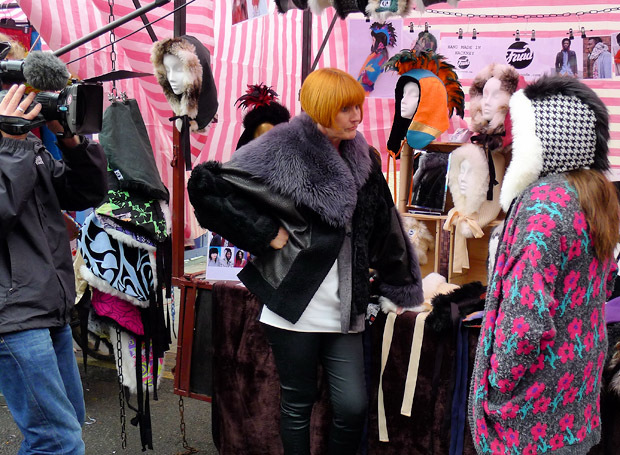 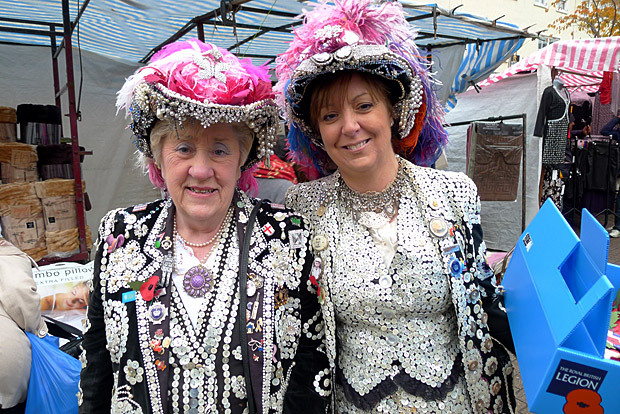 Mary Portas interviewing stall holders. 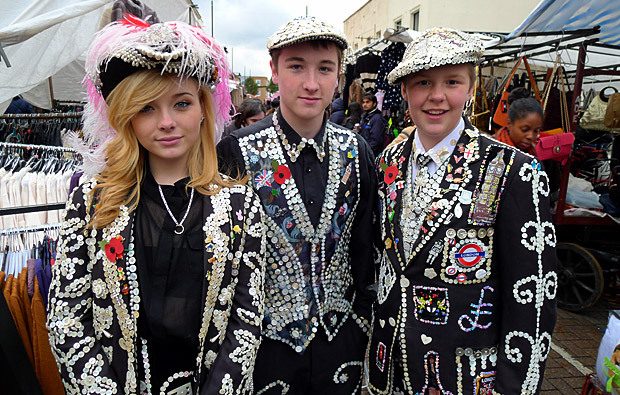 Young Pearlies at the market.